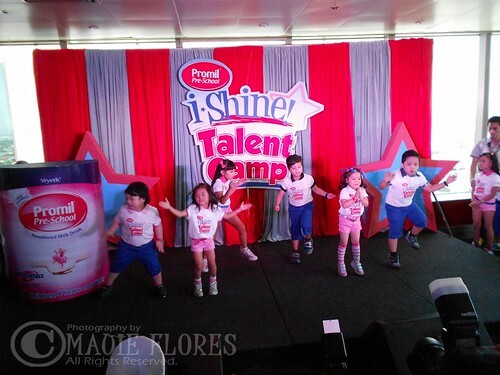 Hundreds of Pinoy kids nationwide have auditioned for the Promil Pre-School iShine Talent Camp this year. 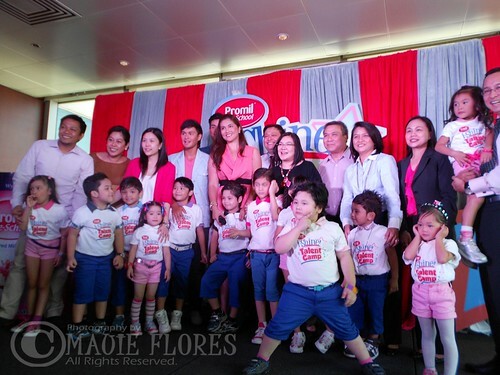 The search has finally ended and Promil Pre-School and ABS-CBN recently unveiled the 12 finalists during a presscon held last June 19. Be sure to catch the 12 i-Shiners starting this Saturday, June 23 every 9:30 am at ABS-CBN. Be inspired to nurture your own kids' talents as you witness the journey of Lukas, the “Acoustic Kid of Cebu”, Ayeisiah, the “Kiddie Diva of Olongapo”, Prince, the “Dance Floor Ace of Manila”, Althea, the “Born Kiddie Performer” of Manila, Gabby, the “Bibo Dancer of Paranaque”, Ella, the “Singing Idol of Davao”, Charls, the “Prince of Acting of Caloocan”, Icon, the “Dancing Icon of Marikina”, Patricia, the “Dancing Charmer of Antipolo”, JC, the “Acting Gem of Taguig”, Jake, the “Total Kid Performer of Makati”, and Justine, the “Dance Floor Prince of Laguna”. 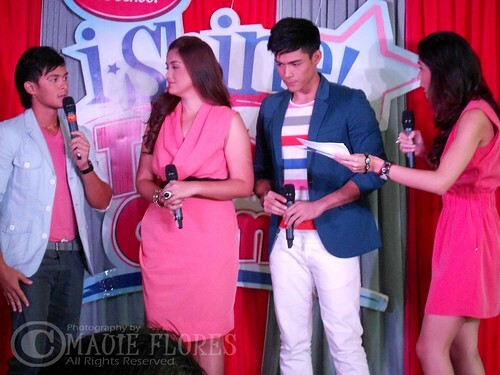 The show will be hosted by Kapamilya stars, Dimples Romana, Matteo Guidicelli, and Xian Lim. every week, the i-Shiners will undergo different talent workshops under the guidance of expert ABS-CBN mentors which include John Prats for dancing, Karylle for singing, Luis Manzano for hosting, and the father and son tandem of Direk Bobot and Direk Frasco Mortiz for acting. The grand winner of the Promil Pre-School i-Shine Talent Camp will receive a talent contract from ABS-CBN's Star Magic plus Php 500,000 cash! Give your child another chance to shine by joining Promil Pre-School's Online i-Shiner promo! This search is open for kids age 3 to 7 years old. 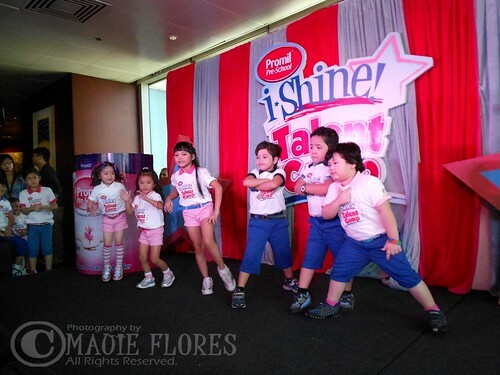 All you have to do is purchase any Promil Pre-School pack from June 23 to July 13, 2012 and upload an audition video together with your proof of purchase on http://i-shine.abs-cbn.com or send to Wyeth PO Box 1207. Twenty finalists will be selected and the Online i-Shiner will be detremined through voting. He/She will receive Php 30,000, a gift pack from Promil Pre-School, and will have the chance to guest star at the Promil Pre-School i-Shine Talent Camp's grand finale on July 28! Blogged via Blogsy for iPad. more parents wants their kids to be stars and this i-shine talent camp is a good chance.